Personalized matchboxes are perfect party favors for a wedding, birthday, anniversary, dinner party or any other special occasion! Print on the front AND the back for the same price! 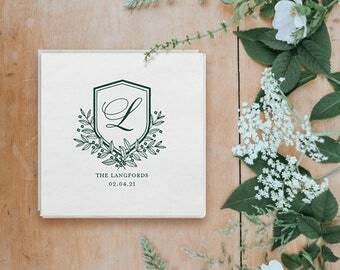 Pretty geometric/botanical art with bride/groom initials on either side. Print whatever you'd like to on the back! 💛 FOIL COLORS & FINISHES: We also offer 3 types of foil: Matte, Satin and Shiny. Please see photo #3 for all available foil colors and sheens. 💚 FONTS: Choose your fonts from photo #4! 💙 CLIP ART: If you'd like to add some clip art that's different than what is pictured in this listing image, please check out photos #5-9 for all of our clip art options! 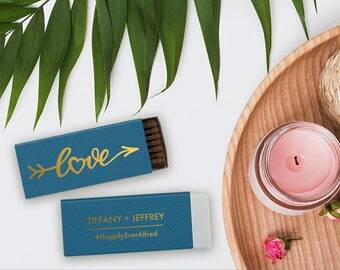 These matchboxes measure approximately 2.2” x 1.4” and come with 30 wooden strikes with white tips. We also offer different sizes, please message us for details! 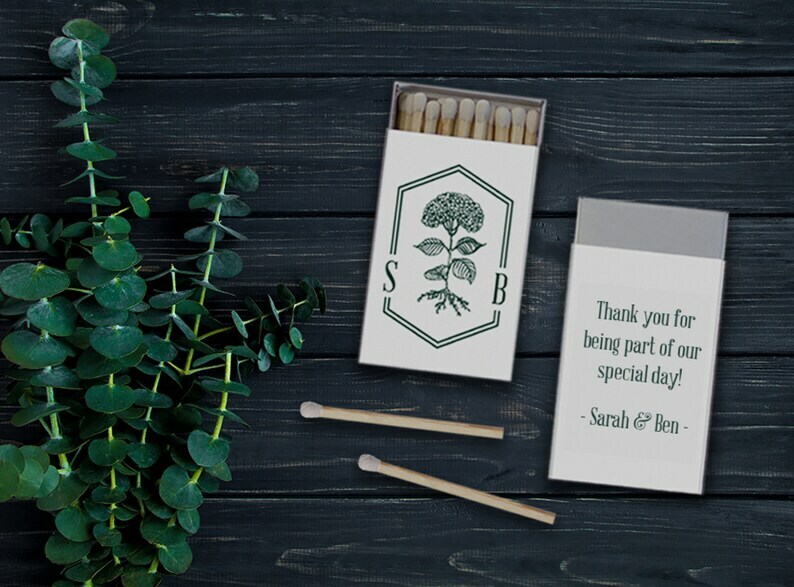 These matches are perfect for weddings, birthday parties, baby showers, bat/bar mitzvah's, galas, holiday parties, or any other occasion! 1. PROOF REVIEW - After we receive your deposit and details, proofs will be carefully designed and emailed to you within 3 business days. Three complimentary rounds of revisions are included with each order. 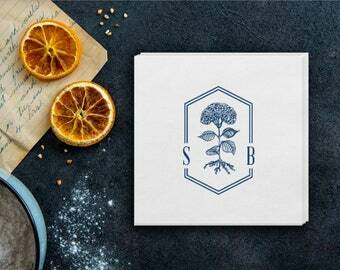 Matchboxes are not printed until we receive final approval from you.